UK stocks paid out an astonishing £100 billion in dividends last year, and the vast majority of that cash came from the largest and most well known companies in the FTSE 350 - including speciality food and bulk ingredients manufacturer Tate & Lyle (LON:TATE). Given the volatile market conditions, those record-breaking payouts were more important than ever. They were proof that solid, high yielding dividend stocks are a strong source of investment profits in both good times and bad. These kinds of dependable returns are a major reason why high yielding FTSE 350 shares are so popular. Indeed, their long-term income streams can make them ideal investments inside a tax-efficient wrapper like an Individual Savings Account (ISA). Well, there are various ways of finding blue chip dividends, but I’ll show you a strategy with some basic rules to put you on the right path to finding the best dividend stocks in the FTSE 350. Let’s look at the Tate & Lyle dividend as an example of how it works. Yield is an important dividend metric because it tells you the percentage of how much a company pays out in dividends each year relative to its share price. High yields are obviously appealing, but caution is needed. When the market anticipates a dividend cut, the share price will fall, which actually pushes the yield higher - but this can be a trap. So it pays to be wary of excessive yields. Tate & Lyle boasts a solid, but not excessive, 12 month forecast dividend yield of 4.19%. Part of the appeal of FTSE 350 dividend stocks is their financial strength. Large size and scale means that their vast cashflows tend to be predictable. It gives them the resilience to maintain their dividends through the economic cycle. And while large companies aren’t immune from making dividend cuts, their financial strength is an appealing safety factor for income investors. Tate & Lyle is a conservative, large cap stock, operating in the Food & Tobacco industry and has a market cap of £3.40 billion. Another important marker for income investors is a track record of dividend growth. Progressive dividend growth can be a pointer to payout policies that are being handled carefully by management. Rather than aggressively dishing out earnings, dividend growth companies tend to have more modest yields, but are better at sustaining their payouts. Tate & Lyle has increased its dividend payout 6 times over the past 10 years. Attractively high yields obviously turn heads - but it’s important to know that a dividend is affordable. Dividend cover is a go-to measure of a company's net income over the dividend paid to shareholders. It’s calculated as earnings per share divided by the dividend per share and helps to indicate how sustainable a dividend is. Dividend cover of less than 1x suggests that the company can’t fund the payout from its current year earnings. 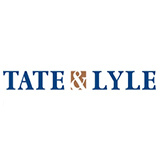 Tate & Lyle has a more than adequate dividend cover of 1.73. With these four dividend rules, you can track down large-cap high yield shares with a record of growth and safety. On this basis, Tate & Lyle could be worth a closer look. To find out more you might want to take a look at the Tate & Lyle StockReport from the award-winning research platform, Stockopedia. StockReports contain a goldmine of information in a single page and can help to inform your investment decisions. To find more stocks like Tate & Lyle, you'll need to equip yourself with professional-grade data and screening tools. This kind of information has traditionally been closely guarded by professional fund managers. But our team of financial analysts have carefully constructed this screen - Stockopedia’s FTSE 350 Dividend Legends - which gives you everything you need. So why not come and take a look? Plus, if you’d like to discover more about dividend investing, you can read our free ebook: How to Make Money in Dividend Stocks.